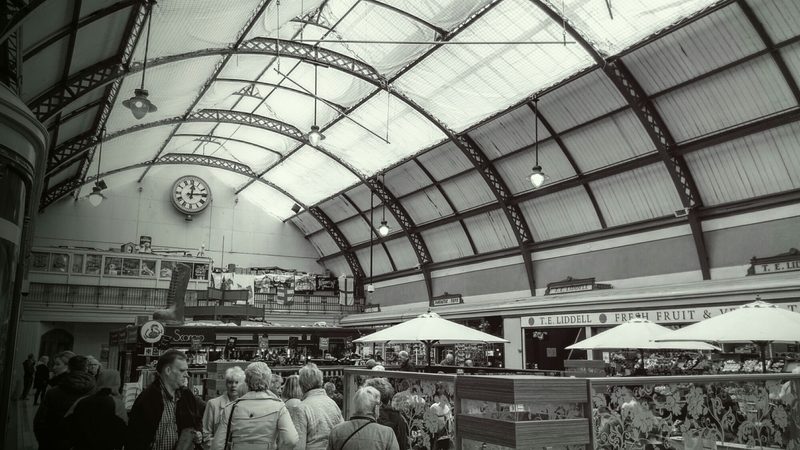 The other day I found myself in Newcastle with a little time to kill, so made my way to Grainger Market. My periodic travels around the UK for work often give me these odd little windows of time to wander around a town or a city. Not enough time to really get a feel for a place, but enough time to at least get a feel for one small quarter. More often than not, I’ve been heading to the covered market. Before these journeys began I didn’t realise so many of these structures still existed. They are a key to the past, and a vision for an alternative future. You can sense the history, that this was how people used to shop. 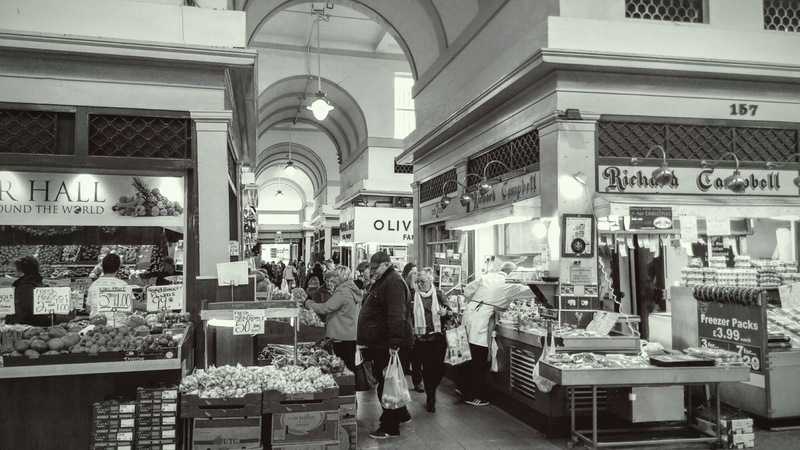 But with so many independent traders under one roof there is also a vision of a sustainable form of shopping beyond the chain store drenched mall or identikit high street. 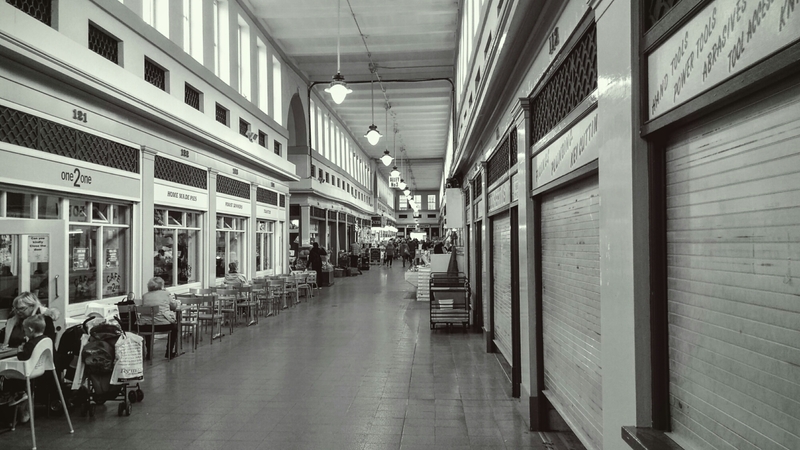 Grainger Market is full of character. The arches and pillars suggest something ancient. 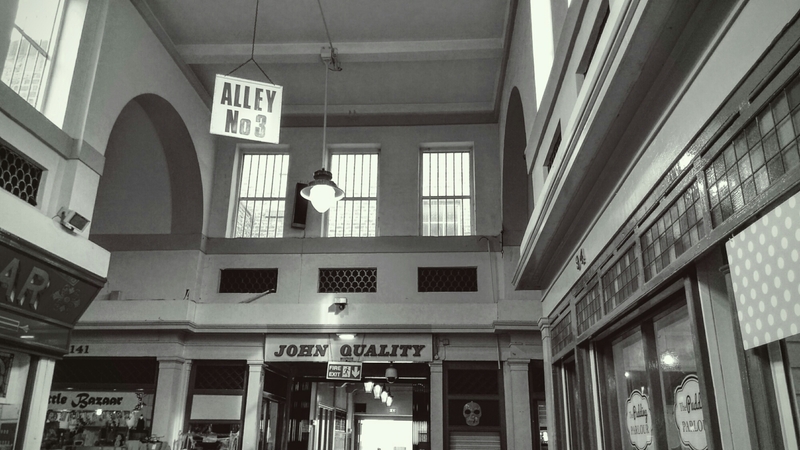 The aisles leading to a large space covered by a steel and glass roof suggest a grand old train terminus as much as a marketplace. 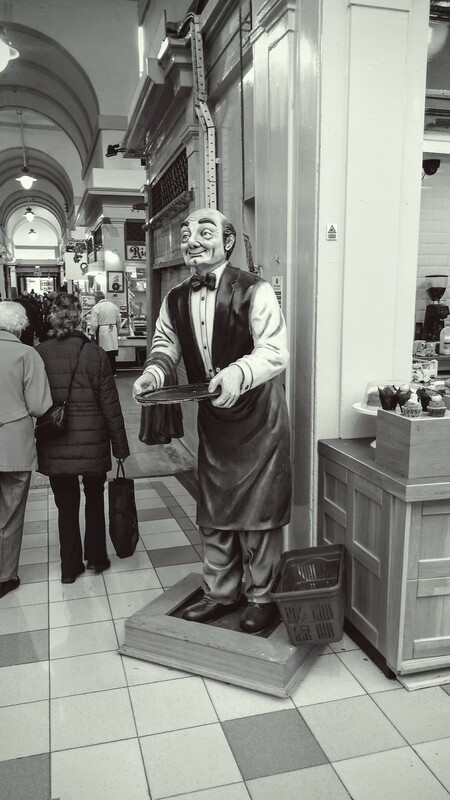 Some traders look like they’ve been here forever, the butchers, fishmongers, haberdasher. Some look like they opened for the first time this morning. The craft beer shop, the dim sum bar, the mobile phone repair place. There is a real democracy about the market. Something for everyone. A practical space. You can get a mug of tea and a bacon sarnie, or an artisan flat white while you mill about the fancy cheeses. There is fashion and working clothes, beautiful fabrics and hi-viz jackets. 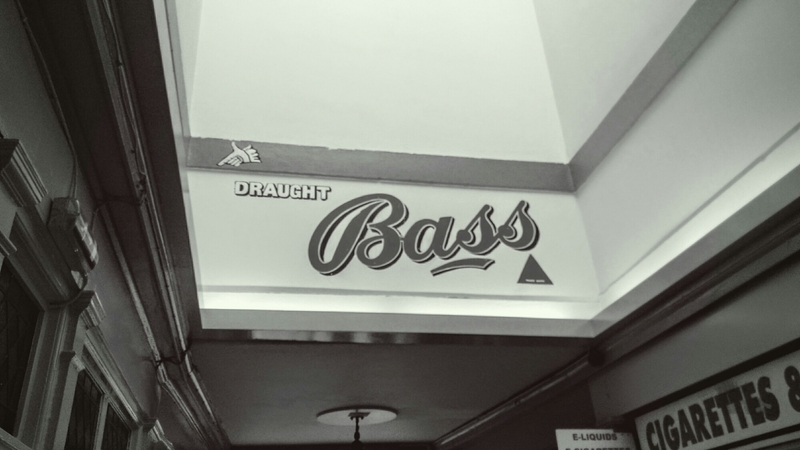 It is some kind of heaven for anyone who enjoys typography. So many signs from so many ages. 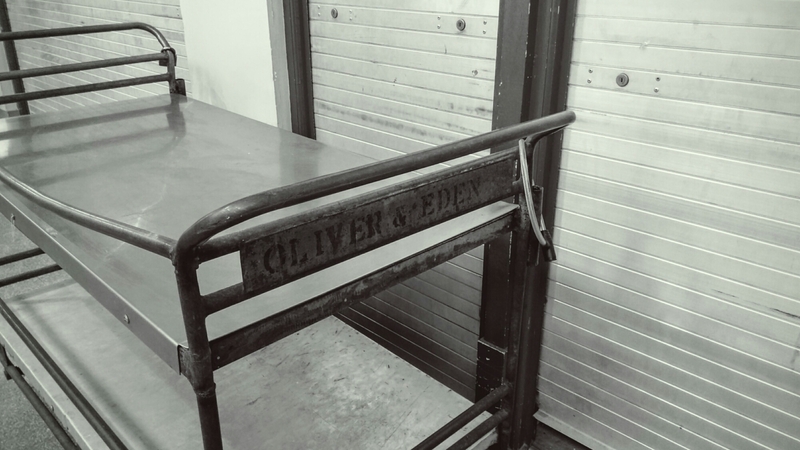 It makes the market feel like it is disjointed from the present, but also more than just a relic of the past. It is an uncanny space, but a welcome and valuable one. If you’re ever sent Exeter way let me know. I certainly will! I’ve made it as far as Bath, but haven’t managed to arrange a trip to Exeter yet!